Brides are opting to wear blue, and not just as a wedding day tradition. 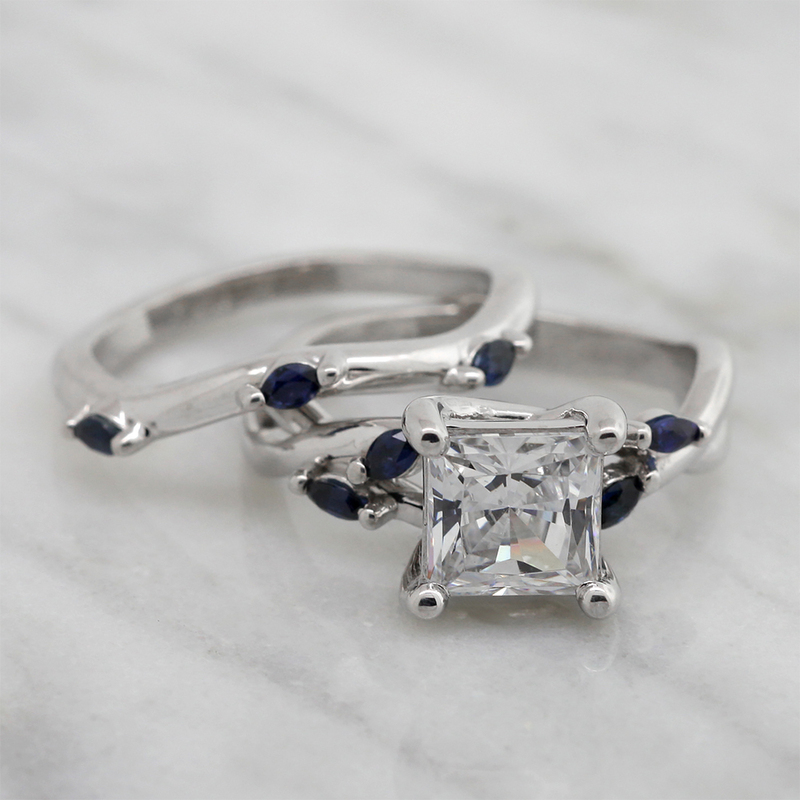 Sapphire stones are becoming ever more popular for engagement rings. “Sapphires are a nice fashion-forward choice for a more unconventional bride or a fan of the British Royal Family,” says jewelry designer Nina. Indeed, sapphire halos have become a new classic, ever since Princess Diana’s famous ring first graced the finger of Princess Kate in 2010. 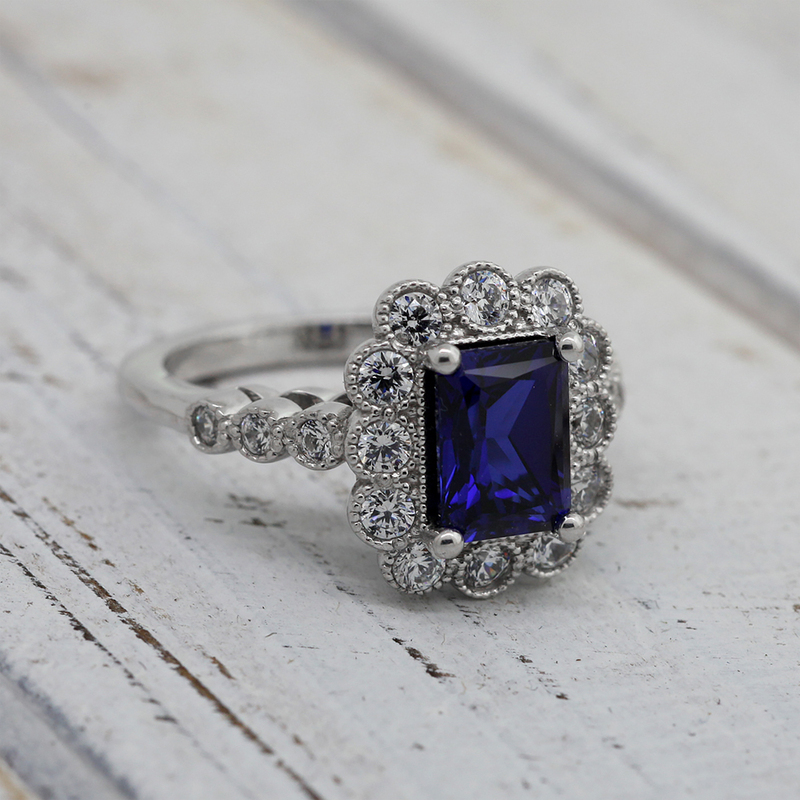 “Sapphires add a touch of class and elegance to any piece and enhances the design by bringing modern elements to a classic or antique design,” adds designer Katelin. 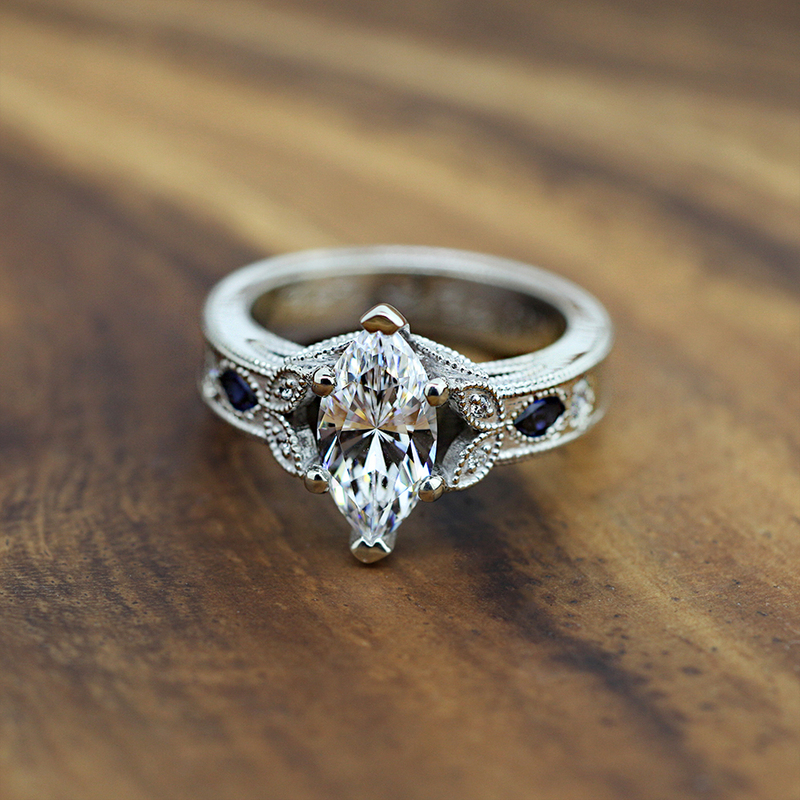 The sapphire is a fitting choice for an engagement ring. 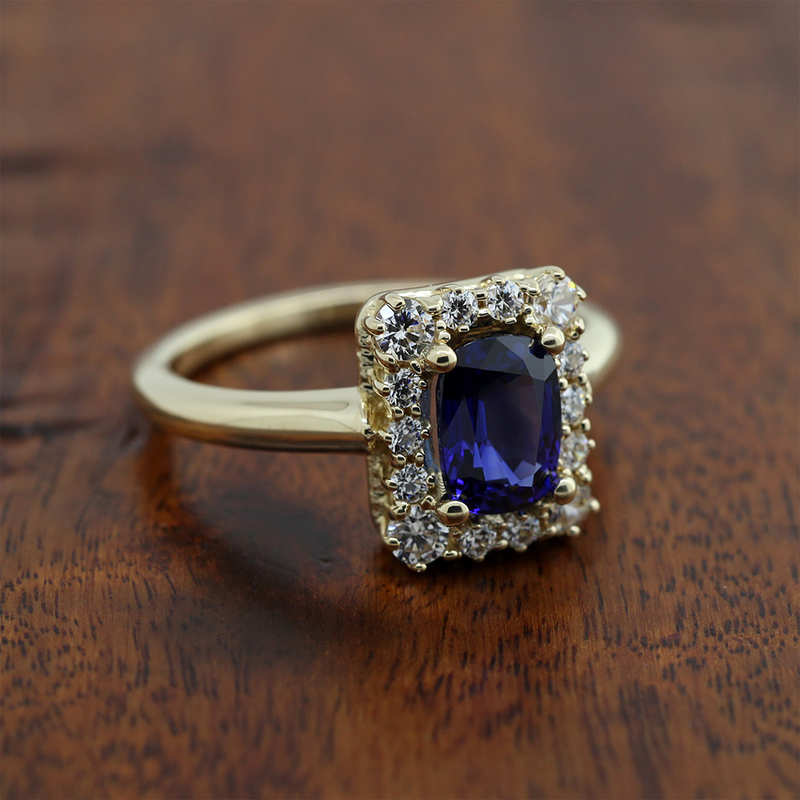 Historically, the sapphire symbolizes truth, sincerity and faithfulness. When accompanied by the more traditional white Contemporary Nexus Diamonds, the meaning becomes even deeper. Along with three of the most important qualities in a marriage, it represents forever. 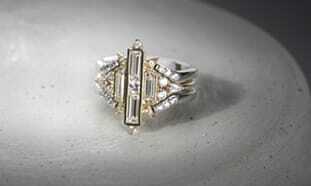 Still loving the emerald cut with halo. Oooh, the second sapphire ring is tops. I love the antique look about it. (It's my daughter's favourite gemstone, and is part of her wedding set.